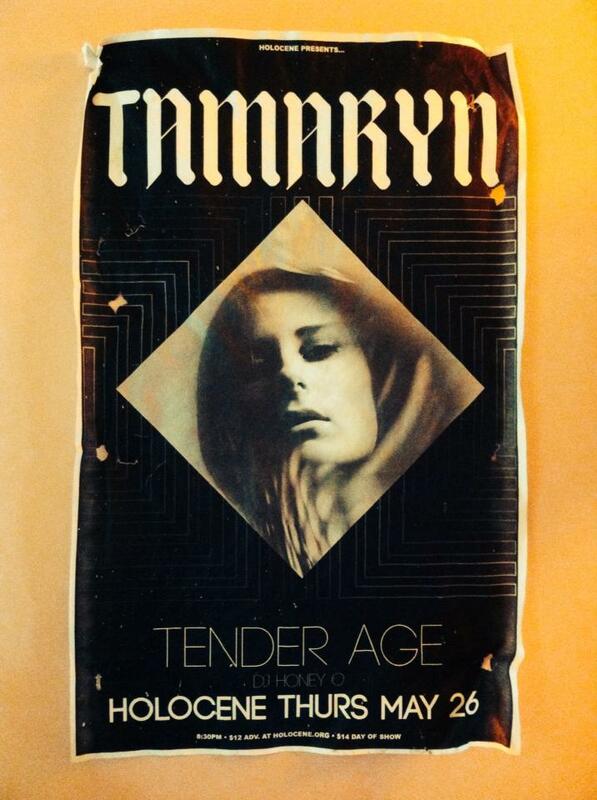 Your resource for all things shoegaze and dream pop: News: Tender Age to Open for Tamaryn in Portland This Week. News: Tender Age to Open for Tamaryn in Portland This Week. Two projects celebrated at WTSH will be sharing a stage at Portland, Oregon's Holocene this coming Thursday, May 26th, 2016, when Tender Age will open for Tamaryn. Those blessed with the good fortune to be able to attend can purchase tickets here; the show is slated for 8:30 pm. DJ Honey O, known for her recordings and performances as Valet, will also be on deck to complete a true dream lineup. We premiered Tender Age's recent single "Lowers" back in February and posted Part One of an interview in March. (We decided to develop additional material for Part Two of the interview; hence its appearance here has been somewhat delayed.) The band's new EP Disappear Here is available digitally and on cassette via Bandcamp. Other upcoming Tender Age dates include June 15th at the High Water Mark Lounge in Portland and June 16th with Pale Dian at The Boreal in Eugene, Oregon. Tender Age will be announcing further auspicious developments soon, and WTSH will keep you posted. Meanwhile, Part Two of the interview is on the way. We somehow failed to post the outstanding video of for Tender Age single "Get High" when it came out last September. By way of amends for that oversight, we offer you the opportunity to view it immediately below. New Video: Bloody Knives || Poison Halo. New Video: The Stargazer Lilies || Summer's Gone.